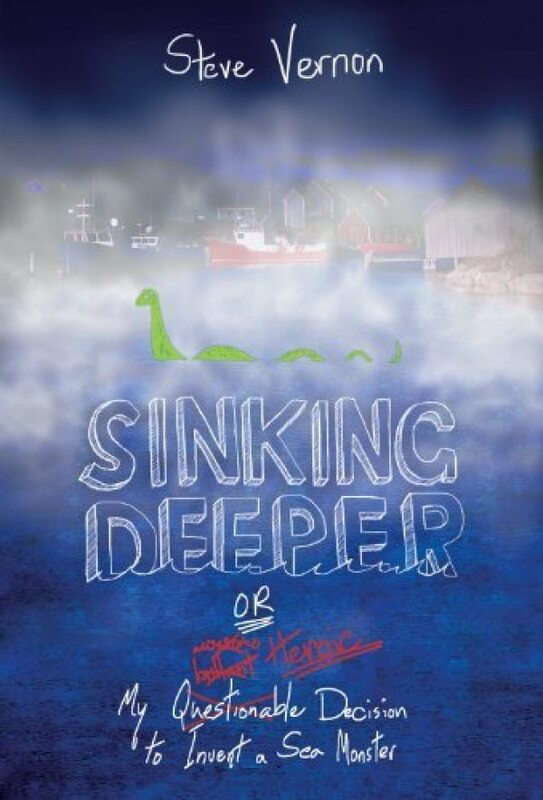 YA Yeah Yeah: Thursday Thoughts: Book Review of Sinking Deeper - Or My Questionable (Possibly Heroic) Decision to Invent a Sea Monster? Thursday Thoughts: Book Review of Sinking Deeper - Or My Questionable (Possibly Heroic) Decision to Invent a Sea Monster? Fourteen-year-old Roland MacTavish never expects to move away from Deeper Harbour and his grandfather, who's also his best friend. His mother is the mayor and his father is the police chief - why on earth would he leave the seaside town? But when his parents announce they're divorcing and his mother is stepping down as mayor to move to Ottawa, taking Roland with her, the youngster knows this calls for a plan. Can he, Granddad Angus, and Dulcie the "punk-goth-freakazoid" rejuvenate the sleepy town as a tourist hotspot by creating a sea monster? I wasn't sure what to expect from the ending but found it to be really sweet and surprisingly moving. I enjoyed this one a lot and would definitely recommend it.